In the wake of their 8-year-old son's sudden death, the Rosato family of Danvers drafted JJ’s Health Bill, a bill which would mandate health coverage for brain and heart screening for children between the ages of 5 and 18. The Danvers Public Schools book collection is part of the North Shore Medical Center’s “Early Childhood Reading Program,” a program designed to promote healthy development beyond a baby’s initial hospitalization. The commemoration recognized the five women executed 325 years ago, each of whom shared the belief in standing up and proclaiming truth. ​In five years, the opioid epidemic took the lives of as many as 25 individuals in the Danvers community, according to a recent state government report. This story takes a closer look into the impact the epidemic has had on the North Shore suburb. I spoke with innovators across the city to find out what Chicagoans are doing to reduce and eliminate the gun violence that plagues the city. ​INVEST Chicago funds women, minorities solving city's "most complex problems"
I profiled the Chicago investor who founded Good City Chicago, an non profit that identifies and supports local entrepreneurs who are addressing the social issues, such as homelessness, unemployment and crime, that plague many of the city's under-resourced communities. I spent one month reporting the story of a Sub-Saharan migrant family faced with the reality that they wouldn't be able to live together after the implementation of Morocco's new immigration policy in January 2015. I reported it alongside Oualid Bakkas, a Moroccan journalism student who was studying in Rabat, Morocco. ​I wrote a feature-length piece on the immigration story of an Iraqi family in one of Chicago's northwest suburbs. They spoke positively of their experience, while still reflecting on difficulties they had as they adjusted to life as Americans. This investigative article was the result of several hours spent combing through public court documents. It revealed the extent to which Loyola has gone and will go to collect the money it believes former students owe the university. On Dec. 5, 2014, Mutahir Rauf and his younger brother, both Loyola students at the time, were walking near the intersection of Albion and Lakewood avenues when two men allegedly approached them and attempted an armed robbery. A struggle ensued, and Mutahir was fatally shot twice. Over the course of one month, I spoke with family and friends, school officials and the police, for this piece, which was published the week of his one year anniversary memorial. The Rev. Jacob Martin — a former improvisation actor and comedian with ties to Loyola University Chicago — was one of 25 men in the United States and Canada ordained as a Jesuit priest June 13, 2015. I spoke with him over the phone about his past as a comedian and what led him to a life of priesthood. This was a two week long investigative report on the presence of sexual assault on college campuses in Chicago and how Loyola handles cases of sexual assault on its own campus. From January to May 2015, I studied abroad in Rabat, Morocco, where I studied journalism and Arabic at the Center for Cross-Cultural Learning. I regularly blogged about my experience, including original photographs where necessary. 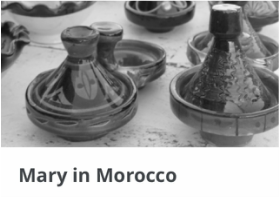 Inspired by my history teacher's trip to Morocco, I wrote one last piece on my travels abroad. It was an opportunity for me to reflect on everything from why I chose Morocco to the lessons I learned over course of my four month stay. In this entry, I write about settling into Rabat -- adapting to my new role as the "big sister," and adjusting to a new lifestyle. During my internship at the BGA, I combed through more than 1,000 pages of pension information for retired suburban and downstate police officers and firefighters, identifying which former employees were reciving $100,000 or more in retirement payouts. This research was used as part of a larger report on the growing number of public sector retirees receiving $100,000 or more in retirement payouts.